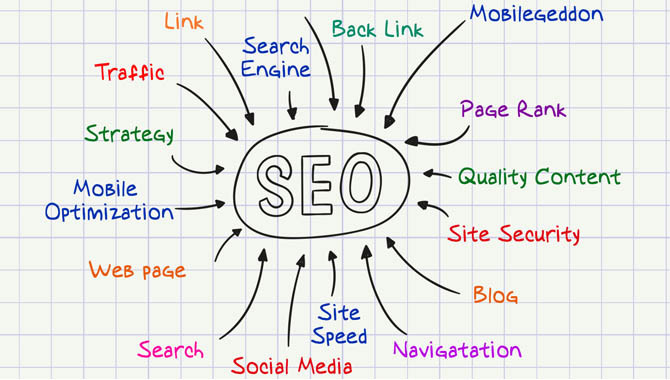 Keywords used to be the dominant force in the world of SEO. It’s a common practice to fill web pages with keyword-rich content and let Google and other search engines find you most relevant when searched over the Internet. While keyword selection still plays a major part in the SEO process, search engines algorithms and guidelines have changed now. Search engines bots are far more complex and intelligent than ever before. They know how to distinguish between a high-quality content website and a website enriched with only keywords. The concept of writing keyword-rich copies is practically dead; you will either get penalized or your readers will get distracted by the poor presentation of content. 1. Write for humans and search engines will understand by themselves: The nature of on-site analysis by major search engines has fundamentally changed. Earlier, while web crawlers used to focus on main keywords for comparing web pages, they are now interpreting long phrases for the identification of web content. Instead of writing keyword-rich copies, focus on what makes sense for your business and brand. 2. Structure your web pages and improve navigation of your site: Web crawlers love to float on perfectly-structured websites with smooth coding and well-designed web pages. The better navigation your site has, the better are its chances to rank higher on Search Engine Result Pages (SERPs). Ensure your site is comprised of clear navigation, sub-menus, well-indexed sitemap and traditional standby pages like Contact, About Us and Services pages. A well-structured website ranks higher than a site with poor internal linking. 3. Improve your site loading time and security: Site speed and security are important factors that search engines have started recognizing with increasing competition and user access on numerous devices. Maximize your site speed by implementing a clean caching system, reducing the size of images and removing unnecessary clutter in your back end. You can improve your site security with SSL encryption and boost your rankings in major search engines. 4. Optimize your site for mobile devices: Your content won’t attract search engines, if your site isn’t mobile-optimized. Google has recently unleashed a major update ‘Mobilegeddon’ that decides the mobile-friendliness of a website. This is a clear indication that the sites which aren’t optimized for mobile users are going to be harshly penalized by search engines. Mobile optimization also increases the reach of your website to the target audience. 5. Frequently update content on your website: Search engines do not just focus on the quality of your content but also how fresh and relevant it is to the present context. Older information doesn’t get the same respect from search engines as the new content does. Frequent updates on your expert topics also help Google and other search engines to recognize you as an “authority” for the given topics and rank your website higher in search results.